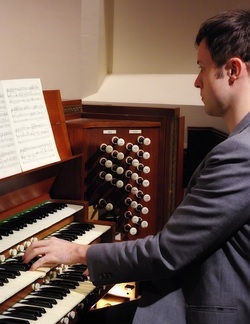 Stephen Kerr has been Director of Music at Holy Trinity since 2003. Graduate Diploma in Education from The University of Melbourne. John O’Donnell and Douglas Lawrence and conducting under John Hopkins. music at a young age. works and a founding member of the 'Quadratonic' vocal quartet.